Public choice, an important subdiscipline in the field of political theory, seeks to understand how people and societies make decisions affecting their collective lives. Relying heavily on theoretical models of decision making, public choice postulates that people act in their individual interests in making collective decisions. As it happens, however, reality does not mirror theory, and people often act contrary to what the principal public choice models suggest. 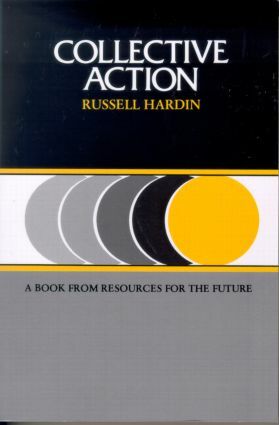 In this book, Russell Hardin looks beyond the models to find out why people choose to act together in situations that the models find quite hopeless. He uses three constructs of modern political economy--public goods, the Prisoner's Dilemma, and game theory--to test public choice theories against real world examples of collective action. These include movements important in American society in the past few decades--civil rights, the Vietnam War, women's rights, and environmental concerns. This classic work on public choice will be of interest to theoreticians and graduate students in the fields of public choice, political economy, or political theory--and to those in other disciplines who are concerned with the problem of collective action in social contexts.